Family owned, local, custom design build small business. Comprised of a father son ownership team and supported by their crew of accomplished carpenters. ***Messages sent to us through Houzz may have a delayed response. If you're interested in working with us on your next project, please submit your inquiry through our contact page here: <a rel="nofollow" target="_blank" href="https://hammerandhand.com/contact/">https://hammerandhand.com/contact/</a> *** General contractor dedicated to service, craft, and building science. Specializing in remodeling, new homes, commercial construction, and high performance green building. Owner/operated boutique remodeling firm interested in helping homeowners make their home the best version of itself. Full-service contractor providing the highest-quality service with exceptional employees, sub-contractor relationships that span years, cloud-based contracting software for better client communication. Detailed Perfection. It’s been our mission since 1955. We strive to make your project come together with unmatched craftsmanship, value and quality. We treat each project as our own and see no finish line. See what the Northwest’s most demanding architects and designers already know – James Frank is Detailed Perfection. 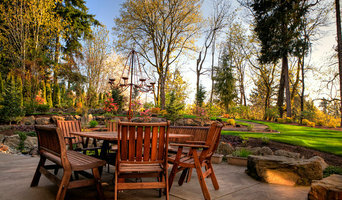 Custom build outdoor kitchens and fire features for residential and commercial spaces. Built in our facility - not onsite - delivered and set-up in one day. Let us do the measuring for you. One of our qualified professionals will take all of the measurements needed to construct the outdoor kitchen of your dreams. We can customize small modules to fit small areas, or build large bar areas to entertain with. Kraft Custom Construction is a skilled general contractor celebrating over 36 years collaborating with clients and designers in the Salem and Portland, Oregon metropolitan regions. We specialize in custom remodeling, new construction, and restoration for residential and small commercial properties. Whether it’s a new home, remodel, or historic restoration project, we provide our clients with custom, high-quality, durable work. Our team of experienced tradesmen, carpenters and designers are committed to service, providing a peace-of-mind remodel experience for every client. Robert Kraft is the first contractor in Oregon to hold NARI’s Master Certified Remodeler designation, and also to hold all three designations of MCR, Certified Kitchen and Bath Remodeler, and Certified Master Builder. THE WORKS has been remodeling Portland since 1996. Our success is founded on providing you with the absolute best in service and project management at an exceptional value. Attention to all the details is what separates us from the rest. Building it right, on time, and on budget; we give every project our full personal attention. The Works has an unparalleled team of craftspeople who pride themselves on superior workmanship with an eye for detail. Building relationships in the industry is an important part of providing our clients with superior products and services. Our close collaboration with some of Portland’s most unique and innovative Architects and Designers brings our clients affordable design and style options. The Works is an eco-friendly company supporting sustainable, recycled, and renewable energy saving products. We come with a great attitude and look forward to helping you with your next project! 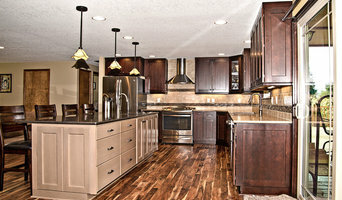 We have been remodeling quality homes in the Portland metro area since 1994. Our original clients still call us for new projects. Let us create the kitchen or bath of your dreams, build a second story sanctuary for you, convert your basement into bright and desirable living space, or restore your classic home to it's original glory. Brian and our team of great employees, long serving subcontractors, and reliable suppliers give us an edge in the fast paced Portland construction market. We also work with some of the top designers and architects in the region. Every house holds so much possibility: the potential to become a perfect home. Whether you bought your house knowing you wanted to make some changes, or you've been living there for years and are beginning to realize your house could work better for you, we can help you realize those dreams. We start each project by listening to your goals and dreams for your home, and we tailor the entire renovation process around your needs, your schedule, your family. You'll work directly with an owner from the beginning of the project to the end to make sure your goals are fully realized, and to make the process as worry-free as possible. Contact us to discuss your next project. We would love to meet you and hear your dreams for your home. Since 1996, we’ve collaborated with homeowners and their architects and interior designers on some of Portland’s most beautiful and innovative homes. Our attention to detail is evident in the quality of our craftsmanship, but it originates in a company culture that values clarity, accountability, and efficiency. Every aspect of our operation is constantly optimized to provide lasting value and a positive construction experience for our clients. General, or construction contractors, are often known as project managers. They oversee the entire remodeling or new home construction project and facilitate all day-to-day tasks that move it toward completion. A Vancouver general building contractor will work with your architect to review plan as you build a house and ensure everything is in place before work is started as well as arrange for permits and necessary inspections. While good local home improvement contractors in Vancouver will have the skills to handle certain tasks onsite, such as carpentry, he or she is also responsible for hiring subcontractors for the majority of jobs, such as electrical work, painting or plumbing. In addition, the general contractor should be on-site regularly to inspect the progress and resolve issues. Here are some related professionals and vendors to complement the work of general contractors: Architects & Building Designers, Interior Designers & Decorators, Landscape Architects & Landscape Designers, Kitchen & Bath Designers, Specialty Contractors. Home remodeling contractors are a must for successful completion of a renovation. Because of this, it's essential that you do your homework before deciding on the right general contractor in Vancouver as you remodel or build a house. Inspect bids carefully. Was it ready when the contractor promised it? Was the bid for building a home unusually high or low? Each of these things can be very telling: A late bid may reflect timing standards, and an off-the-mark bid could be code for a pricey premium or a deliberate underbid to score the remodeling job. You should call references, carefully read reviews and visit completed projects in Vancouver, WA to see if they’re what you expect for your job. Once you do secure your local Vancouver contractors, read the contract very carefully to be sure everyone is on the same page. 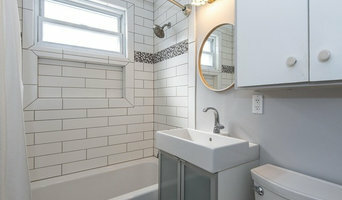 Find a Vancouver contractor on Houzz. 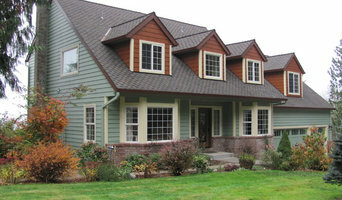 Narrow your search in the Professionals section of the website to Vancouver, WA home contractors. You can also search for photos in Vancouver, WA and contact the Vancouver general contractor who worked on the project.